This charming home located on the Potomac River is the perfect place to spend your time for a weekend getaway. 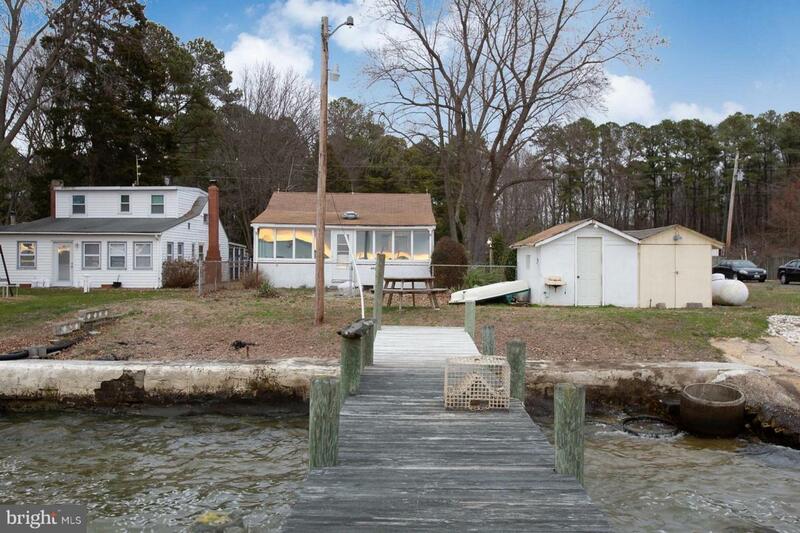 Enjoy crabbing & fishing off your private pier equipped w/ boat lift. Home conveys fully furnished, walk in and relax! 2 Bedrooms, enclosed porch w/ amazing water view, recently renovated bathroom, hardwood floors, extremely low energy cost. Just 1 hour from DC Beltway. Great find!Five mile view over Potomac and historic St. Clement's Island. Fish and crab pier, reconditioned boat lift. Great fishing with easy run from your home or stay home and fill your cooler from your private pier.Pier, boat lift, picnic table on the pier for morning coffee, catch your breakfast fish and crab from the private pier. Large picnic table for crabfeasts at the water's edge. Boathouse. Great views and sunsets 365 days a year with a parade of ships, boats, and waterfowl every day. Private neighborhood at the end of the world and only 10 miles from Chesapeake Bay overlooking wide expanse of Potomac River.